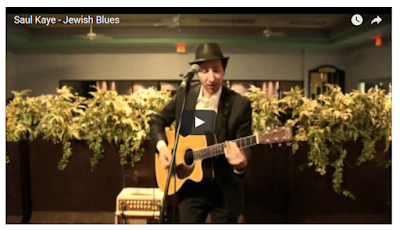 JTA — Saul Kaye never wanted to be a “Jewish blues” player. So Kaye decided to take a Talmud course at the Mayanot Institute of Jewish Studies in Israel. One morning, a fellow student approached him and left him with an intriguing prophecy. Eight years later, Kaye is now seen by many as the “king” of Jewish blues, having released four albums in the genre that range from twangy fingerpicking to more uptempo electric rock in the vein of B.B. King. He plays over 100 shows a year at synagogues, Jewish conferences and festivals across the country — that’s down from the more than 200 shows he was playing a few years ago, but that’s because Kaye is now a father of two. Kaye is part of a growing trend of Jewish musicians who combine Jewish spiritual or religious lyrics with Americana music — an umbrella term that encompasses genres such as blues, bluegrass, folk and country, as well as a distinctly homegrown, old-fashioned American sensibility. Since Jews were viewed as immigrants in the United States for a large part of the 20th century — and are still widely seen as an ethnic “other” in American society — Jewish music and Americana, at first glance, seem an unlikely mixture. 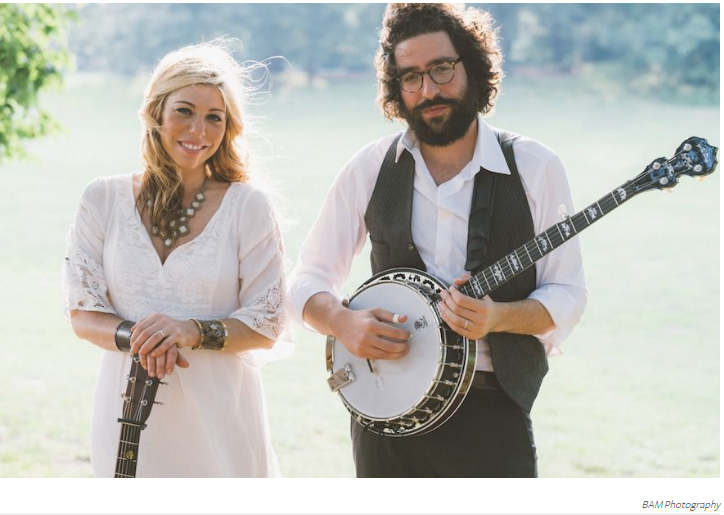 But in addition to Kaye, artists such as Nefesh Mountain, a husband-and-wife bluegrass duo from New Jersey, and Joe Buchanan, a convert to Judaism from Houston who plays James Taylor-esque country, are gaining in popularity on the national Jewish music circuit. Joey Weisenberg, a Brooklyn-based prayer leader and music teacher, has garnered praise for his modern bluesy, indie rock-inspired takes on “niggunim,” or traditional Jewish melodies. Of course, American Jews have long incorporated spiritual music with the popular: in the 1960s and ’70s, for example, Jewish music icons Shlomo Carlebach and Debbie Friedman turned prayers and Jewish melodies into folk songs that are still sung today. But the signs are indicating that Americana could be having its biggest moment in the Jewish community right now. The trend follows a train of greater experimentation throughout the Jewish music world. “For a long time, it felt like the only artists that we were representing or were out there in congregations were a guy or girl with an acoustic guitar, singing acoustic music, singing Debbie Friedman kind of music,” said Mark Pelavin, the chief programming officer for the Union for Reform Judaism, which invites groups at the top of the Jewish music scene to play for the 5,000 attendees at its annual biennial. Over the past decade, Americana has seen a comeback in the broader pop music world. The British band Mumford and Sons, which plays a combination of bluegrass, folk and indie rock, has sold millions of albums worldwide since 2009. In 2010, the Grammys instituted a Best Americana Album award. And last May, Billboard began devoting an album chart to Americana and folk records. In the end, American Jewish music and Americana music might actually be two sides of the same coin. While Jewish musicians brought their European influences with them when they immigrated to the U.S., they’ve been forging their own American musical style for nearly half a century, according to Mark Kligman, an ethnomusicologist at UCLA. Still, for many, the juxtaposition is a bit unusual. According to Nefesh Mountain’s Eric Lindberg and Doni Zasloff, even after two years of using the term “Jewish bluegrass,” some people still laugh at it at first. “But what we’re doing is not goofy at all, it’s very soulful and very honest,” Zasloff said. The group has found serious success, touring the country constantly. Nefesh Mountain is in the midst of recording its second album with some of the world’s most respected bluegrass artists, such as mandolin player Sam Bush, guitarist David Grier and banjo player Tony Trishka. 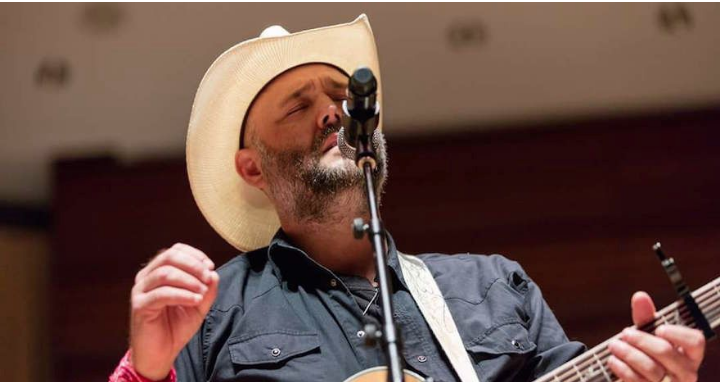 Joe Buchanan, a 40-year-old former human resources manager who grew up Christian in Houston, often recounts to his concert audiences how converting to Judaism resolved his self-esteem issues. Like Kaye, who produced Buchanan’s debut album a couple of years ago, he thinks that the country music he was raised on, along with other Americana genres, go well with Jewish culture.